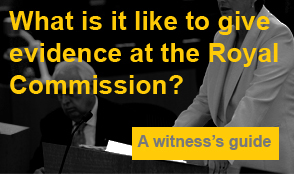 The Royal Commission recently released a consultation paper on Redress and Civil Litigation for victims of abuse in institutions. If implemented, the changes proposed have the potential to enhance access to justice for survivors of abuse. Kelso Lawyers have provided an extensive submission in response to the paper, outlining important factors that will ensure survivors benefit from these changes. Applicants not happy with their award should have the opportunity to appeal. Courts need to recognise that institutions responsible for the care and protection of children owe a non-delegable duty to prevent physical and sexual abuse of these children. Breach of this duty must result in strict liability on the institution for the harm suffered by the victim.